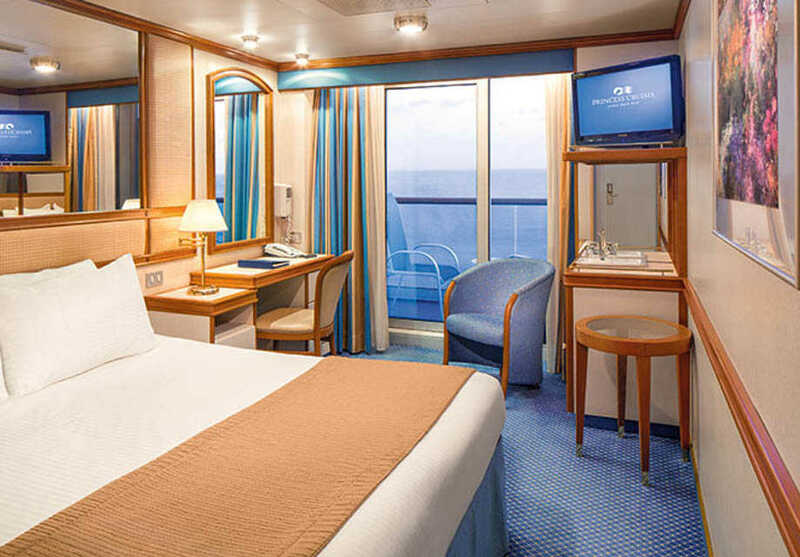 With something to discover on every deck and every walkway, from street performers in the incredible Italian piazza to the big-spenders in the swanky casinos, Caribbean Princess exceeds all expectations. 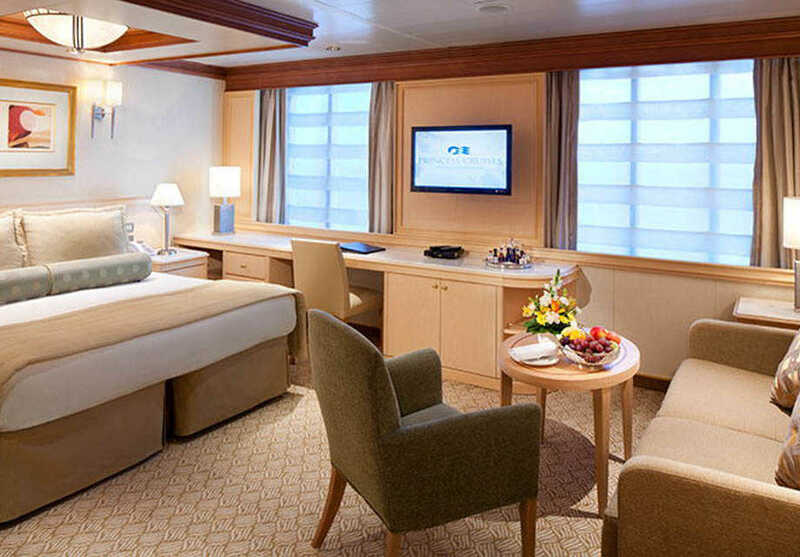 Accommodation ranges from intimate Interior staterooms to magnificent Grand Suites with Balcony, while dining is just as varied, with speciality restaurants like Sabatini's, inspired by a traditional Tuscan villa, as well as charming Afternoon Tea. Discovery at Sea combines voyage and destination, with unique experiences for all the family, including stargazing and Animal Planet tours that enrich and excite. Toast to your travels in one of the many bars and lounges onboard, serving fine wines, Seawitch craft beers, soft drinks and speciality cocktails. The aptly-named Sanctuary is a serene adult-only retreat, while the Lotus Spa® offers a range of holistic treatments for mind and body. 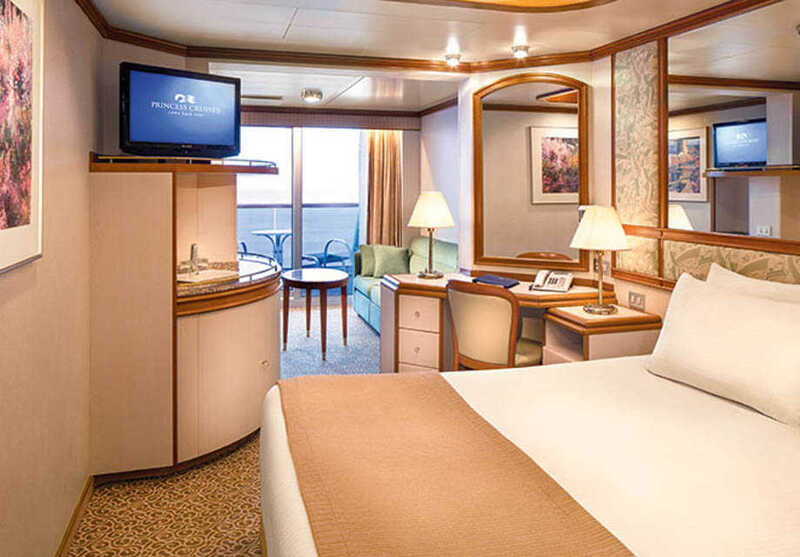 Keep up-to-date with leisure opportunities onboard with the free mobile-friendly Princess@Sea service, where you'll find a schedule of daily activities. 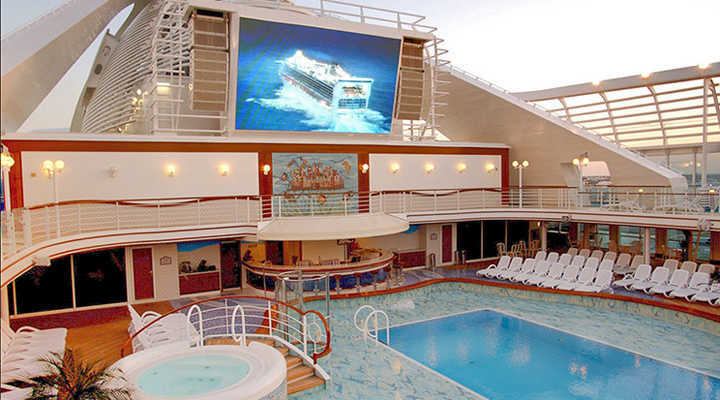 Caribbean Princess offers an incredible 5 pools, plus 2 splash pools and 7 whirlpool spas for both couples and families to enjoy. The Sanctuary provides a serene haven for adults only, styled like a garden with plush sun loungers, while Pirate's View features a lively splash pool and hot tub. A refined and sophisticated restaurant, the Island Dining room offers freedom to dine as and when you wish, serving a curated menu of international dishes. The Palm Dining Room offers formal dining hours in keeping with cruise tradition, with an elegant ambience and delicately set dinner tables. Exceptional cuisine prepared by celebrated culinary staff is served by your own attentive waiter. Offering flexibility on dining hours, as part of the Anytime Dining program, the Coral Dining room is a relaxed restaurant serving a selection of international dishes, inspired by destination. A magnificent theatre adorned with pink and purple hues, as well as a spotlight-scattered ceiling. The design allows for great acoustics and viewing from any seat in the house, for stellar, show-stopping acts and live entertainment. Be prepared to be wowed by talented musicians, rip-roaringly funny comedians and dazzling Broadway-style musicals. Situated by the Neptune's Reef and Pool area, this welcoming bar serves a selection of premium spirits, including Blackbeard's favourite rums, vodkas and bourbon whiskies. Serving drinks to the Pirates View area of the ship, featuring a pool, hot tub and splash pool, Morgan's Bar features seating areas and sun loungers for a relaxed day at sea. Capturing the relaxed vibe and friendly charm of the Caribbean, Café Caribe is a themed buffet-style restaurant with open-kitchen and colourful décor. Buffet selections include jerk chicken, pepperpots and curries, and more local favourites. Hit TV show The Voice® is brought to the seas on this exciting live competition between passengers and crew! Modelled on the same layout, three charismatic team coaches will vote for their singing starlet they'd like to mentor on their 'I Want You Chairs', before guiding them through live sing-offs with bands, backup singers, incredible lighting and audio effects. Audience members make the call using special voting remotes to crown their Voice of the Ocean! Uniquely elegant and catered to your personal taste, the Chef's Table dining experience offers an exclusive behind-the-scenes look at the preparation of your delicious meals and handcrafted cocktails, made by the experts. An intimate table in the main dining room is yours for the night, as you're served a special menu and given wine pairing suggestions to complement your meal. At the end of your dinner, each couple will receive an autographed copy of Princess' best-selling cookbook, so you can try your favourite courses at home. The Chef's Table Experience can be reserved by up to 10 guests on select nights. Cover charge applies. With an eclectic style and a club-like interior with big-screen TVs, booming sound system and dancefloor lights, Club Fusion and Bar host a number of events including Zumba, bingo and the Captain's ball. Inspired by Britain's early 1900's smoking lounges, the Churchill Lounge is a refined smoking and sports bar where guests can keep up-to-date with home games and socialise over a drink and smoke. 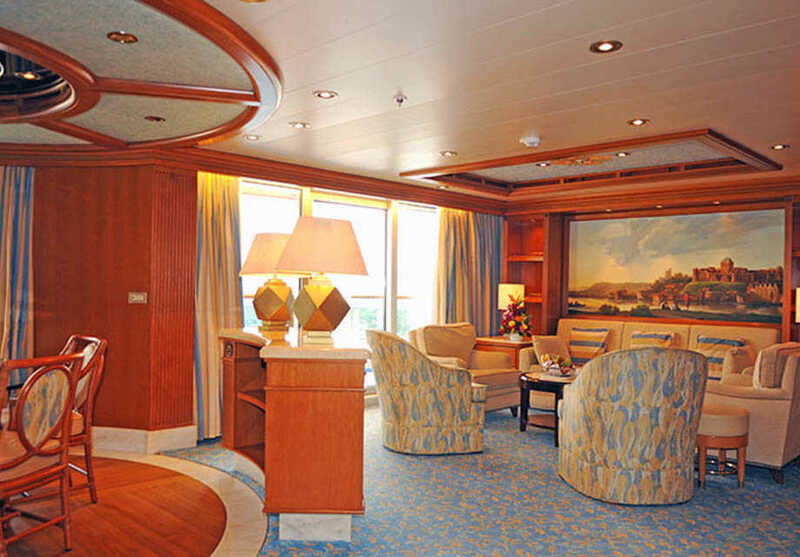 Overlooking the lively piazza, Crooners Bar is located on the Promenade Deck and offers delightful musical entertainment, from live pianists to swinging jazz bands. Providing warm, natural light, this Oceanview Room features a picture window with partially obstructed views of the ocean. 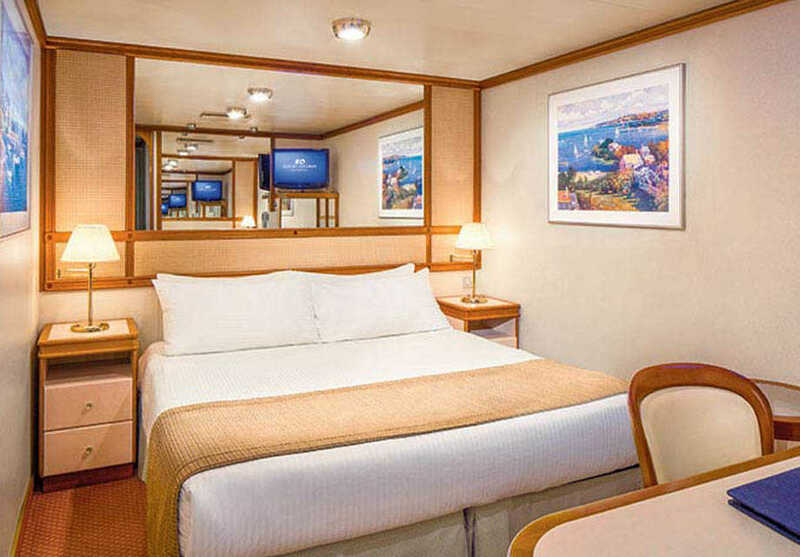 Some also have Pullman beds to accommodate additional passengers. 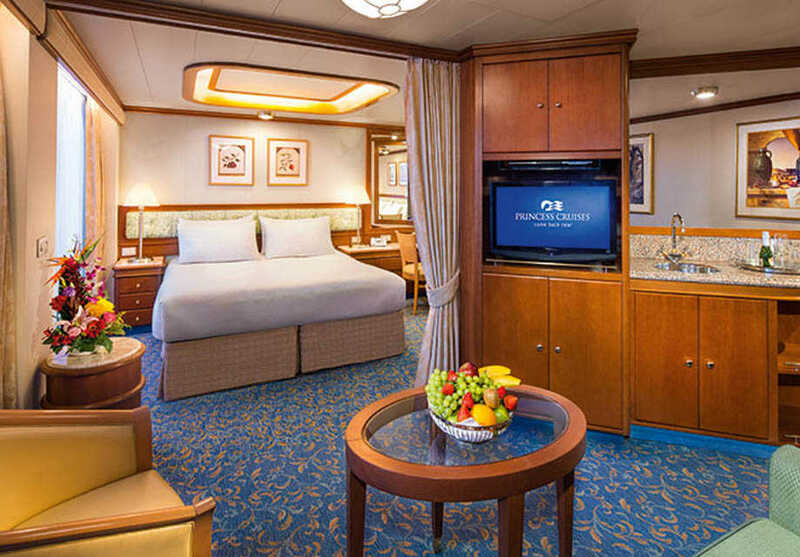 Spacious staterooms feature outstanding ocean views from your private balcony. 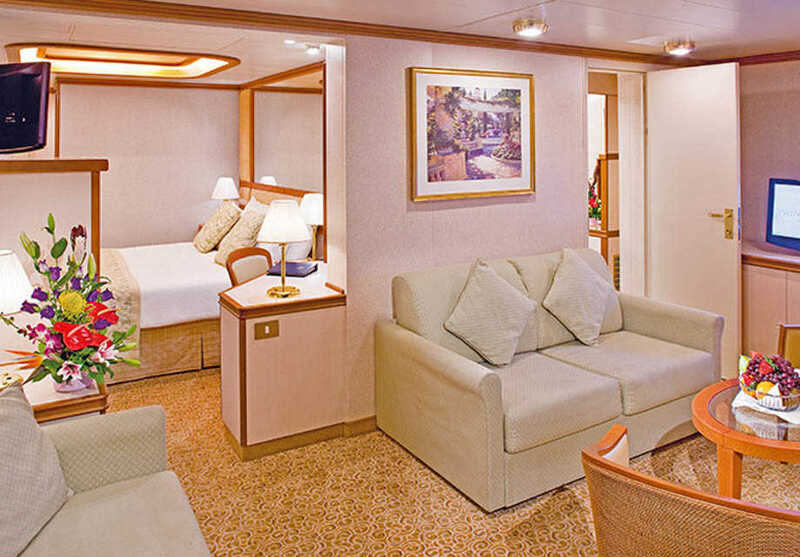 Some also have Pullman beds to accommodate additional passengers. 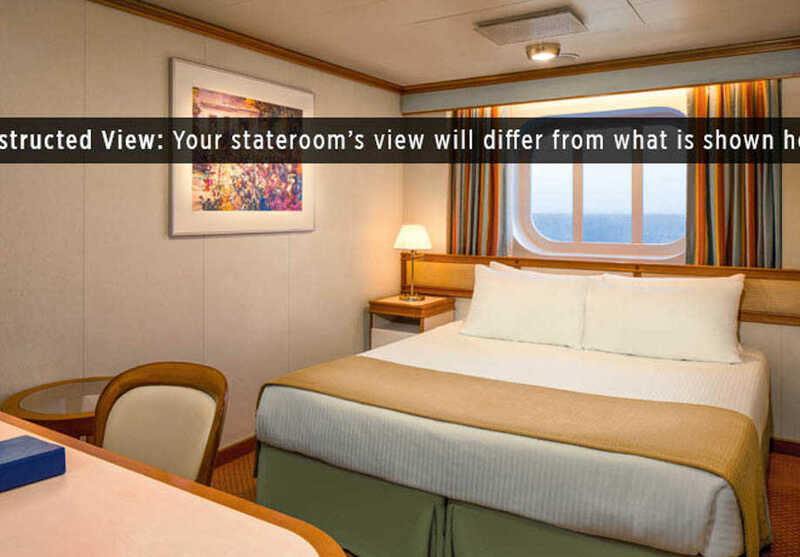 Premium Balcony rooms feature furnished, rear-facing balconies for dramatic wake views. Some also have Pullman beds to accommodate additional passengers. A delightful suite perfect for a couple, the Mini-Suite includes two twin beds, as well as a luxurious sitting area with balcony. 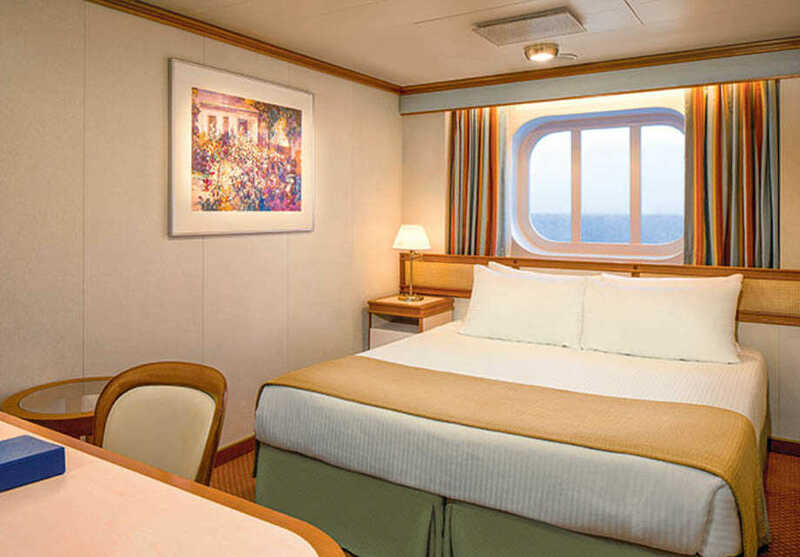 Some also have Pullman beds to accommodate additional passengers. Expansive family suites offer ample space for a family of four, with two bedrooms and a separate living area leading out to the furnished balcony. Bright and welcoming, the Suite with Window features a delightful bedroom and sitting area, with window views in lieu of a balcony. These expansive suites carefully blend indoor and outdoor living, with a large furnished balcony as well as a bedroom and sitting area with sofa bed to accommodate an additional guest.